Many people know Sterling Oil in the Central Virginia area as an oil supply company specializing in heating. But Sterling also customizes cooling systems to fit the need of the individual or business in the Lynchburg and Central Virginia areas. We are a company whos job it is to make make any room in a house or office feel comfortable to the peple inhabiting it. In the winter time we keep your rooms toasty warm. And we all know how hot the summers in Central Virginia can be. 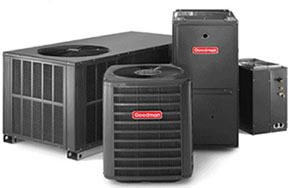 We provide the best cooling solutions that are available to our clients.